I’ve photographed Kevin quite a few times performing with precision rock trio Fat Goth. 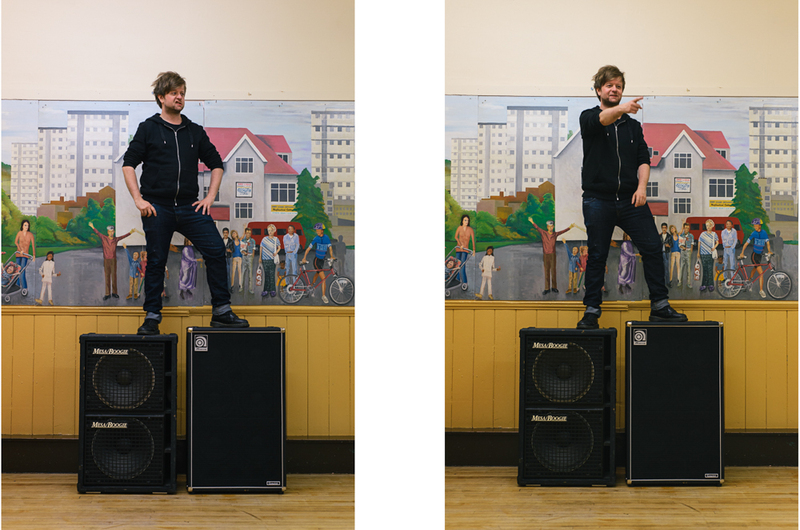 At his suggestion we went up to their rehearsal space, dragged a couple of bass cabs out of the basement and present to you Kevin, Master of Bass. The eagle-eyed amongst you may spot that this is the first time I’ve taken a portrait in portrait orientation.